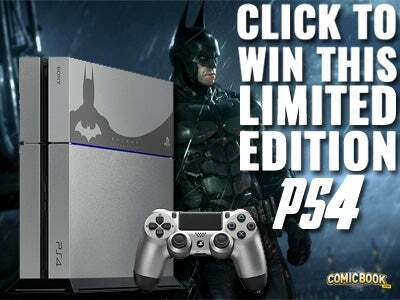 Rocksteady Studios, creators of the main Batman Arkham series, is packed full of major Batman and DC Comics fans. 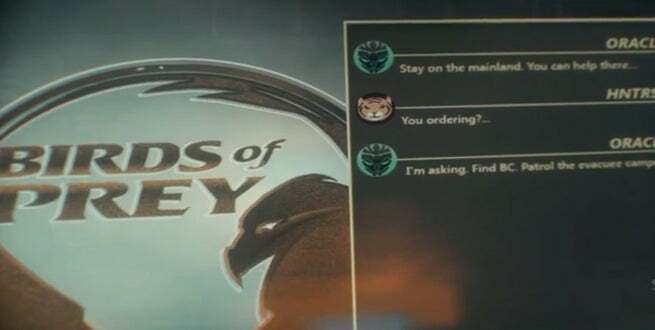 Teases in previous games, such as the Haly’s Circus banner, have paid off in the form of Nightwing as a playable character (and central to one set of sidequests in Batman: Arkham Knight). 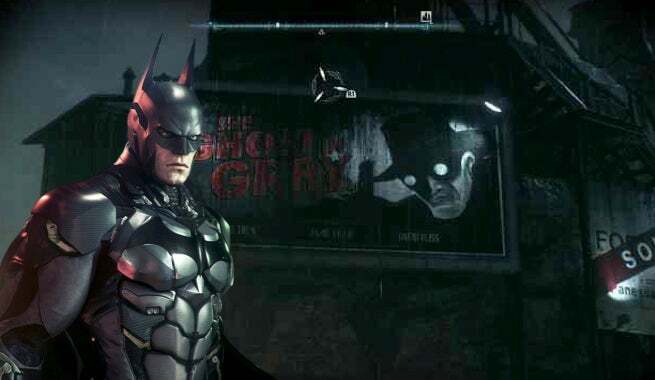 So while Rocksteady may be done with the Batman: Arkham series, it’s possible that one of these little teases or Easter Eggs could be teasing a game from either Rocksteady or at least another developer under the WBIE banner for the future. Either way, it’s fun to see (and hear) the various nods to the rest of the DC Universe throughout the sprawling Gotham City. Here are some of our favorites. There are a lot of billboards and poster peppering the walls and rooftops of Gotham City, as one would expect from a metropolis of its size. Some of the many include a billboard for reporter Vicki Vale’s talkshow (she was, of course, the love interest for Bruce Wayne in 1989’s Batman film – more on her in a moment). Posters and billboards for “The Ghost in Grey,” a shoutout to Batman: The Animated Series where instead of an opera or Zorro, young Bruce Wayne and his parents were seeing a movie featuring The Grey Ghost, his inspiration as a vigilante (surreptitiously voiced by Adam West no less) are all over the abandoned movie studio owned by Wayne Enterprises. There’s also a banner saying “Fly to Metropolis,” a slightly more subtle reference to a certain man that’s pretty super over in that city. Similarly, there’s “Run to Keystone,” a Flash nod. Two Clayfaces, Matt Hagen and Basil Karlo, appear on posters for films (also at the abandoned studio). 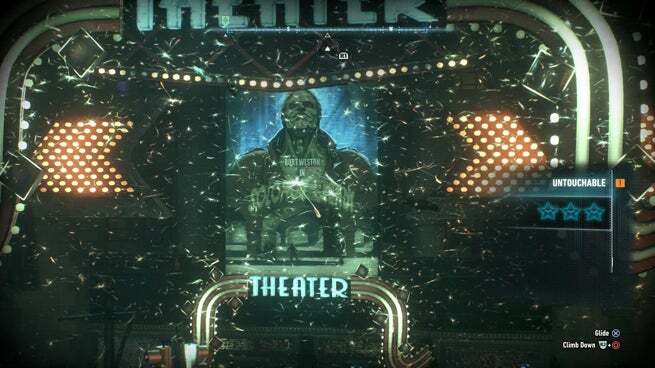 A theater marquee likewise promotes the movie "Solomon Grundy." The movie stars D-list villain Burt Weston aka Film Freak. Two detectives named John, John Jones (aka J’onn J’onnz aka the Martian Manhunter) and John Constantine, both get nods, with a dry-erase board for Jones that also includes Renee Montoya, and a poster for Constantine’s agency. Metamorpho and Kairi Tanaga have Easter Eggs, and the former’s creator Simon Stagg is heavily involved with a portion of the story. The GCPD Evidence room is packed with references to the previous games’ enemies, and a couple more. You even get to shed some tears over Talia. Kord Industries can be seen in a few locations in the city, including boxes and trucks. 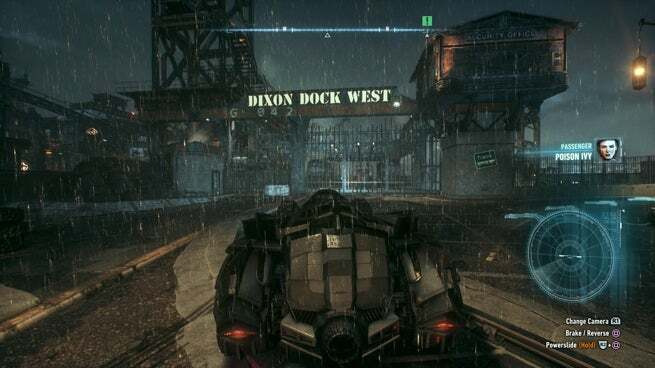 There’s a nice big LexCorp tower (and more on Lex Luthor in a moment), and writer Chuck Dixon, whose stories inspired some of the storylines in this game, gets the “Dixon Docks.” Queen Industries is under construction, and one of its executives plays a crucial role in the B story of the game. 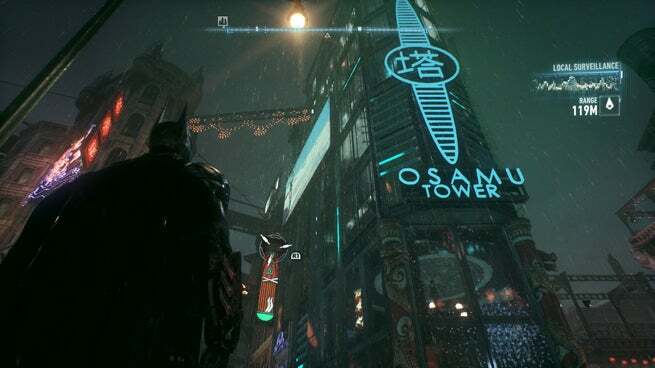 Osamu Tower represents the "Batman of Japan," Mister Unknown, real name Jiro Osamu. Oblivion Bar is the pocket dimension hangout of magical users across the DCU, and has a physical location in Gotham City, apparently. There's a Sushi Bar called "Ocean Master" and a host of others. Basically every location with a name on it is a nod or Easter Egg, really. The aforementioned Thug Chatter has always been a great source for references and fun in the Arkham series. 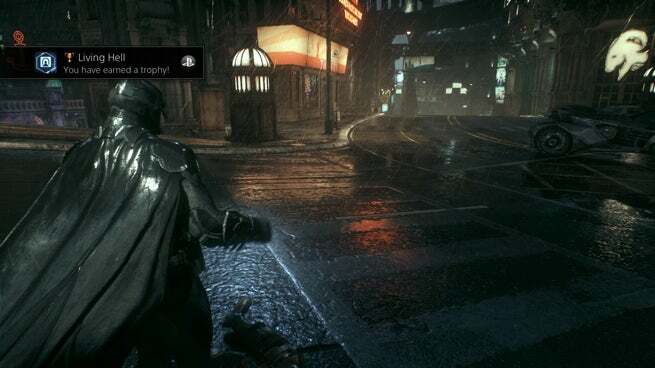 Arkham Knight is no different, with groups of thugs all across the city yapping away about all and sundry. Some of the most fun moments, aside form those referenced already above: “There’s others, like Batman.” “Oh yeah, all over. Keystone, Star City, Central, Blüdhaven. 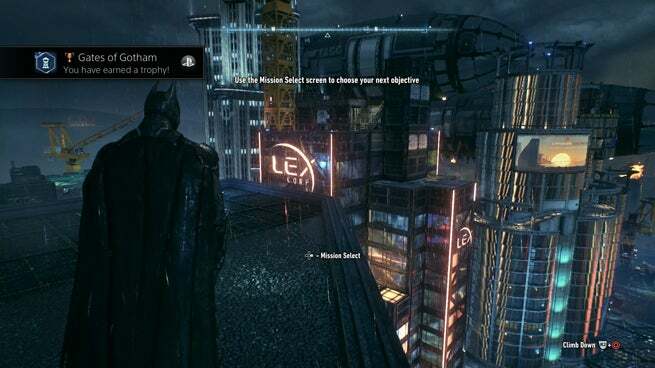 So what I’m saying is this could be a running gig,” some hopeful henchmen say, thinking they could go terrorize other cities when Scarecrow and the Arkham Knight were done with Gotham. Of course, Batman couldn't be left without his own verbal nod, not with Kevin Conroy, the voice of the character not just in this series, but in Batman: The Animated Series, at the helm. Indeed, Conroy gets to utter his favorite three-phrase quote from that series, one he does often in interviews and comic conventions. It's a blast to hear, and comes at the exact right point of the game. Along with the LexCorp and “Fly to Metropolis” banner, Superman gets a couple of verbal nods. One is just a side reference, saying at least the “Freak from Metropolis” isn’t around. Another you’ll only hear if you die at a certain point of the game, when the assembled villains will say, “Who does he think he is, Superman?” See? It can be fun to lose sometimes! Speaking of Lex Luthor, if you listen to the voicemails in Wayne Tower, you’ll get a group of Easter Eggs that include Luthor calling about his offer to purchase the Applied Sciences division of Wayne-Tech. Little does he know, Bruce needs that. For Bat reasons. Also on the old school answering machine? Vicki Vale, who calls him “Brucie,” which gets a snarky comment from Lucius Fox. A random girl named Cassie (not the one you hope for, or man, at least I hope not) who offers up a … group activity, calls in the midst as well. Kate Kane aka Batwoman calls to make sure Bruce would come to her engagement party with detective Maggie Sawyer, a nice nod to the LGBT hero. She even says “you taught me the importance of keeping up appearances.” Finally, there are two meanspirited and EXTREMELY SPOILERY messages from a character thanks to a big twist in the game. I will not mention them further here, and if you don’t want to be spoiled, don’t listen past 1:28 in the embedded video below. Seriously, just don’t. Yes, even the Trophy/Achievement system gets in on the Easter Egg hunt. With Trophies named "Living Hell," "No Man's Land," and other storyline references in Batman history, it's a fun way of seeing Rocksteady acknowledge all the Batman that has come before them. There's one other, but it's such a major plot spoiler, we'll leave it alone in this article. What did we miss? There are tons of Easter Eggs throughout this series, so which wer your favorites? Let us know in the comments!